Awesome house with so many possibilities. Sitting on just over an acre of land with tiled drive-thru portico which leads you to impressive entryway. Going into the front room with its high, vaulted ceilings and more gorgeous tile. It has three bedrooms plus a flex room for a large office or even a formal dining area. The spacious kitchen features incredible counter tops and stainless appliances, all of which convey to the new owners. Just off the kitchen is a laundry room with washer and dryer which also convey. Step through the dining room into the HUGE family room with its own wet bar. 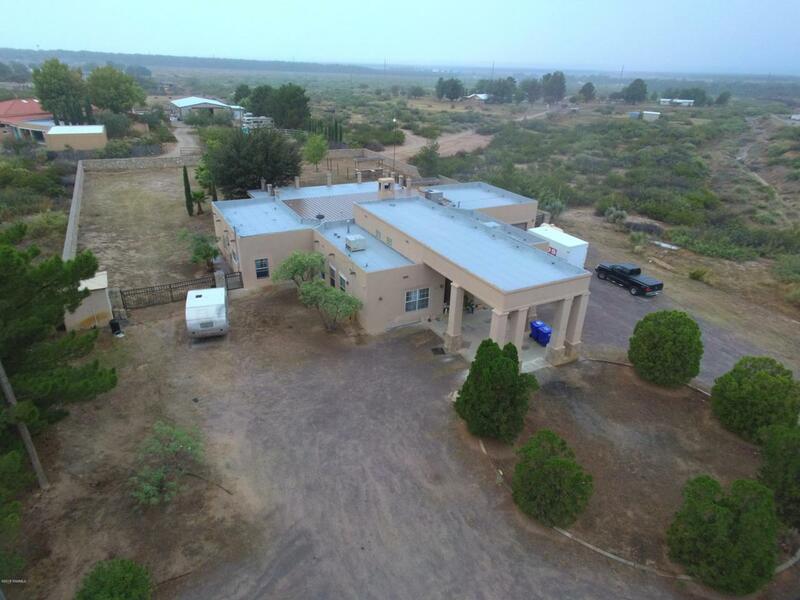 Continue out the back door to your own covered patio with a place for a grill and spiral staircase to the upper deck which offers spectacular 360 degree views of the valley and mountains and you've got the PERFECT place to entertain a crowd. The house features beautiful tile work almost everywhere you go. Amazing house at an amazing price!